Passengers on a Cancun, Mexico-bound flight from Toronto were left stranded for several hours on Saturday after their aircraft made an emergency landing in New Orleans. Sunwing Flight 511 left Pearson International Airport just after 10 a.m. on Saturday but had to land at Louis Armstrong International Airport in New Orleans at 1:32 p.m., Marcelo Gomez who was a passenger on the flight told CBC Toronto. “The plane had an engine problem and had to land in New Orleans. Local authorities could not host our group at the airport so we had to wait for four hours onboard,” Gomez said. But the Toronto resident said being stuck on board the grounded Boeing 767-300 aircraft was only the beginning of their ordeal. “According to regulations, airplanes cannot have passengers on board for more than four hours, so around 4:40 [p.m.], we left the plane and local authorities put us in a closed room that looked like a big hallway or tunnel,” Gomez explained. He said they ended up spending another three hours in that area. The Sunwing crew onboard were “excellent, very nice, patient [and] emphatic,” and even ordered pizza for everyone, Guzman said, but the real problem started after they exited the disabled aircraft. “[There was] zero communication with customers and [the] call centre had no information to provide,” Gomez said. The plane that suffered mechanical trouble was recently leased by Sunwing from Eastern Airlines, according to publicly available aircraft registration data. It was leased to cover the loss of four Boeing 737 Max 8 aircraft that were grounded by Transport Canada on March 13 in wake of the Ethiopian Airlines disaster. 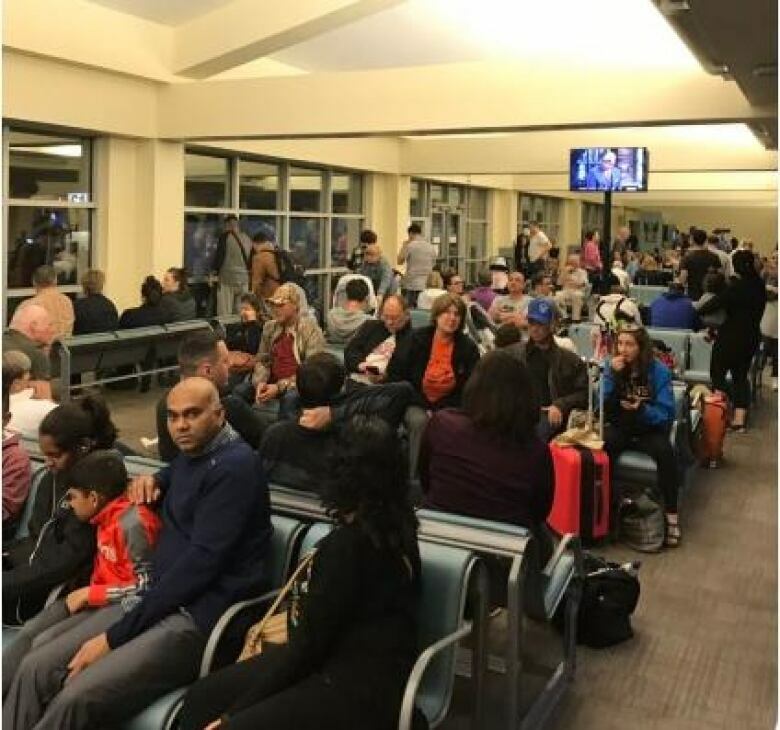 Gomez told CBC News that passengers were advised Saturday night that another plane had been sent from Miami to take the more than 250 passengers to Cancun. Sunwing didn’t immediately respond to CBC’s requests for comment. Do employees without kids get the short end of the stick?